My next door neighbor has an envy-worthy fig tree. The leaves are are huge and the brightest hue of green. I often wish I knew how to make dolmas because then I’d put them to good use. Instead, he allows me to pick as many figs off the tree as my heart desires. His tree yields so much fruit that he has no idea what to do with it all. I always tell him not to worry because I have big plans for the figs. Figs require very little in order for them to be amazingly delicious. I tend to put them on a plate next to some cheese and call it a day, but every now and then I love roasting them. Their sugars caramelize slightly, making them perfectly sweet, which in my world means not very sweet at all. 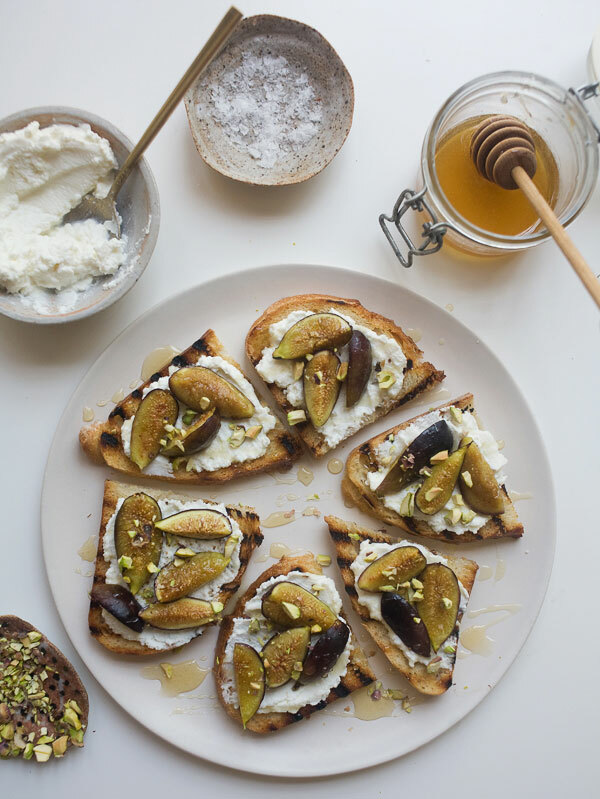 Their subtle sweetness is perfect when paired with a rich ricotta, a drizzle of honey and a few pistachios. It’s the perfect summer appetizer that can be assembled in mere minutes; and if you’re feeling extra lazy, it can even double as the perfect summer dinner. 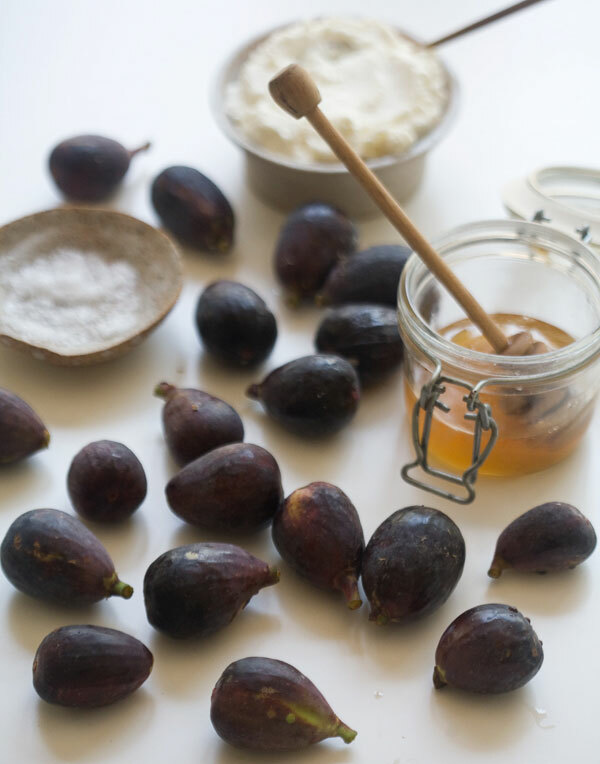 Preheat oven to 400 degrees F. In a baking pan, toss the figs with the olive oil and pinch of salt. 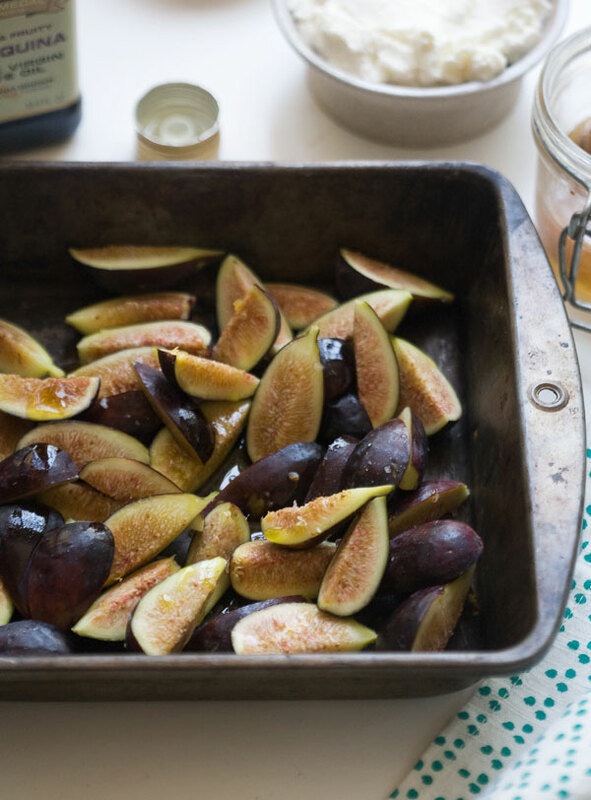 Transfer baking pan to the oven and roast the figs for 10 minutes, until slightly softened and juicy. 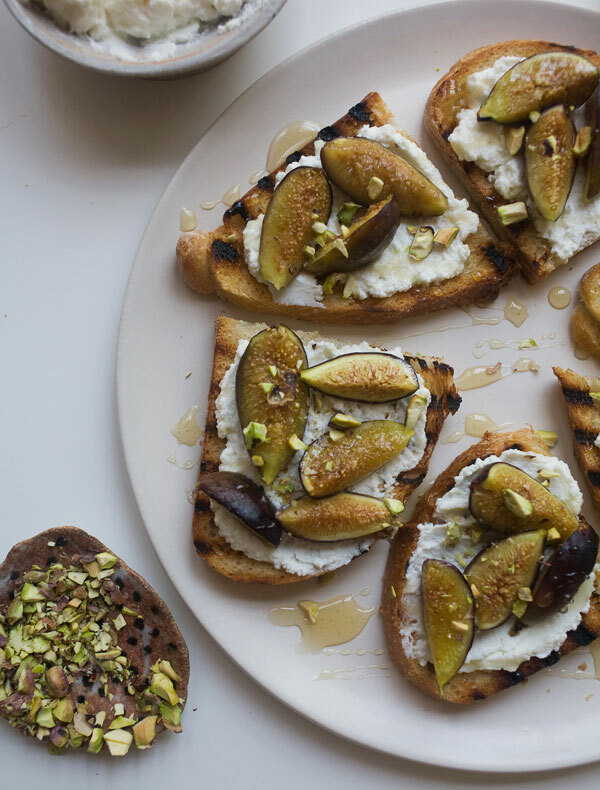 To assemble toasts, add about a teaspoon of ricotta to each piece of bread, top a few roasted figs, a small handful of pistachios and a liberal drizzle of honey. Repeat the assembly process with the remaining crostinis.